Many people who are expecting refunds have filed their taxes already and they are waiting to see when the money will be in. If you e-filed your tax return, please keep in mind your refund should be sent to you within 10 – 21 days. If you haven’t received your tax return or you’re curious to see if it’s coming, just go to the IRS’ site and enter your information. If you prefer to speak to someone on the phone, the number is 1-(800) 829-1040. I was also surprised to find out they have a Twitter account at @IRSnews. 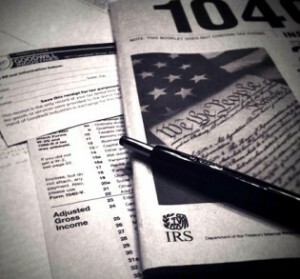 Are you looking for ideas for using your tax refund to help your finances in 2011? Here are some great ones you can do, no matter how big or small your refund is. Start or build your emergency fund. Base the amount on your family’s personal savings needs. Even if it’s a starter emergency fund, it’s a cushion for you in case something happens like a car breaking down. For your emergency funds please keep it in a high interest savings account where it’s possible to access it in emergencies without being tempted to spend it. Pay down your debt. If you have an emergency fund ready to go, then look at putting your tax refund towards paying down your debt. Paying down your debt can improve your monthly cash flow. Open or contribute to your IRA. If you have $1,000 or less you can open an IRA. The advantage of starting now rather than later is the benefit of compound interest. Donate to a worthy cause. If you’re looking to find a cause that’s dear to your heart, try Charity Navigator. It can help you find a charity that reflects your values and you can evaluate their administration. It’s free and easy to use. Don’t forget to set aside some money to just have a little bit of fun. Did you e-file or paper file? What are you using your tax refund for this year?